BlockWars Core Mode and More! Discussion in 'Java Edition News' started by johncoles, Jul 31, 2016. Hey everyone, we have an awesome Blockwars update for you all, Core mode! Plus a new kit, new maps and bug fixes! While this may seem like a subtle and small change, you'll quickly realise how much it changes the game when you play. Core mode favours much more hectic and team oriented play styles and some kits are extra effective, such as miner or bomber. There is now a core, where the flag usually is in CTF mode. Mining out the core block will lower the enemy core's health by 1. Bring the enemies health to zero to win! Ever wanted to have a mob fight alongside you? Then the new Summoner kit is perfect for you! Every 60 seconds you can use the bone to spawn 1 of 4 mobs (zombie, skeleton, creeper or slime). This mob will automatically attack enemy players for you and you'll even get the credit if they score a kill! 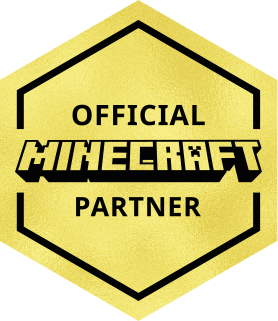 We've also brought back modifiers and you can vote for half blocks, double blocks, low gravity and speed modes if you're diamond +. Modifiers help keep the game fun and unique! Bridge your way to victory! SpiderPiggie125, PeteTeradactyl, y2002a6n13 and 9 others like this. _The13thDoctor_, SpiderPiggie125, johncoles and 4 others like this. BoneRanger and johncoles like this. Ahh, regretted posting here, tomorrow morning is gonna spam my tablet to death.